Product prices and availability are accurate as of 2019-04-19 06:07:05 UTC and are subject to change. Any price and availability information displayed on http://www.amazon.com/ at the time of purchase will apply to the purchase of this product. 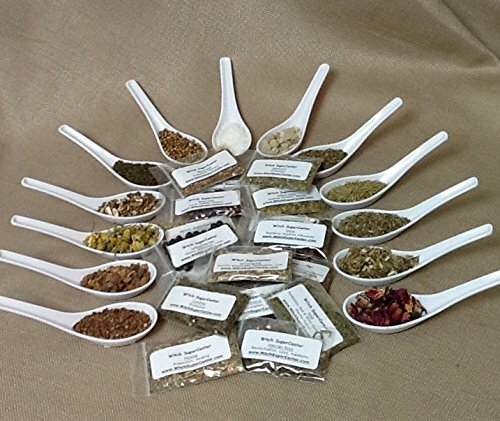 Thirty of our most popular herbs. 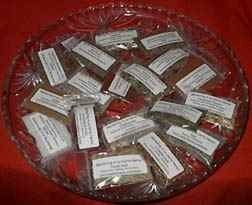 Each is individually packaged and labeled with its name and magickal properties. Here's what you get in this kit: Angelica Root - protection, healing, temperance; Basil - money & riches, protection, love; Chamomile Flowers - healing, prosperity; Cinnamon - protection, healing, love, passion, money; Clove - repelling negative influences; Comfrey - protection; Coriander Seed - love, fertility, protection; Cumin - protection, fidelity, exorcism; Dill Weed - protection, love; Fennel Seed - protection, healing, purification; Flax Seed - money, protection, psychic powers, healing; Frankincense Tears - protection, purification, consecration, exorcism; Hawthorn - protection; Hibiscus - lust, love, divination, aphrodisiac; Hyssop - protection, healing; Juniper Berries - money, protection, love; Kelp - protection, sea & wind spells, money, psychic powers; Lemongrass - psychic awareness, purification, lust; Mandrake - protection, fertility; Mugwort - protection, divination, clairvoyance; Myrrh Gum - high psychic vibrations, spirituality, purification, protection; Oregano - protection, love, warding off colds; Peppermint Leaf - purification, healing sleep, love, prosperity; Rosebuds & Petals - ultimate love, protection; Rose Hips - love, health, vitality; Rosemary Leaf - contentment, love, protection, clear thinking, money; Sage Leaf - healing, purification; Sea Salt - cleansing, casting circles, purification, grounding, protection; Valerian Root - reconciliation, love, harmony; Yellow Dock - healing, fertility, money. Use herbs in sachets & bottle spells or burn them as incense on charcoal disks. Due to customer requests, we now include our popular Magickal Herbs eBook ($4.99 value) and another special FREE gift with all herb kits! Thank you to all of our loyal customers. 30 of our most popular herbs Magickal Herbs eBook Now Included! 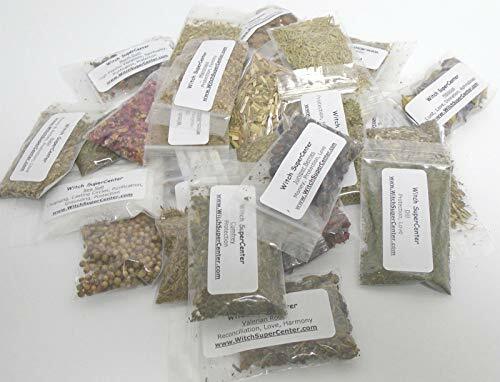 Individually labeled with name and magickal properties Packaged in convenient magickal use amounts Why buy a pound of each herb when you only need a small amount of each?